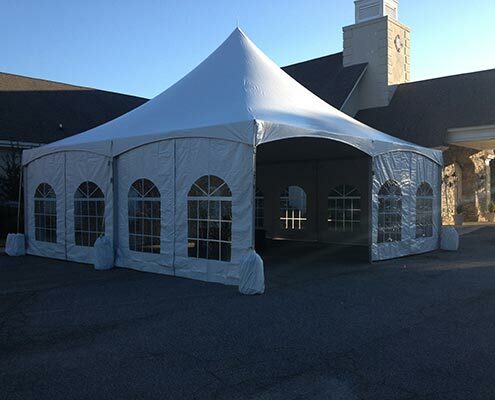 Sizes range from 30, 40 or 60 foot widths and can be expanded to virtually any length. 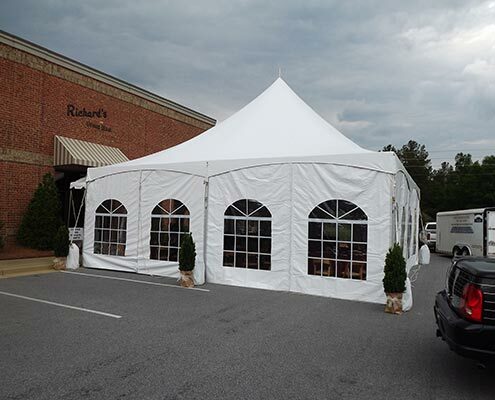 Tent ceiling liners, fabric swags, and side walls (solid or with windows) are also available for all Frame Tents. 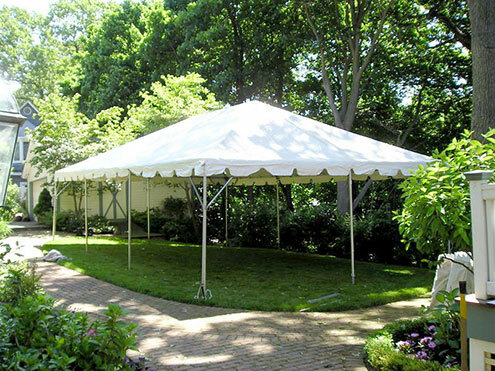 One of our more unique options. 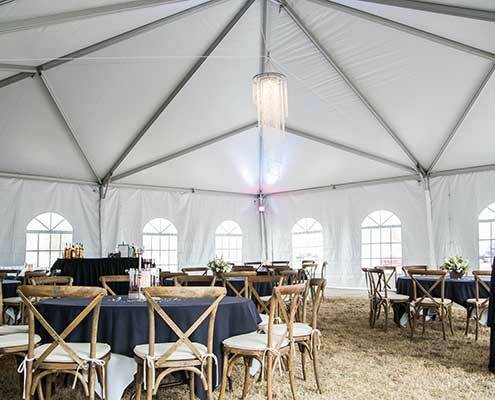 The clear top allows the natural light and an open space feeling during the day time and a starry night feeling in the evening. 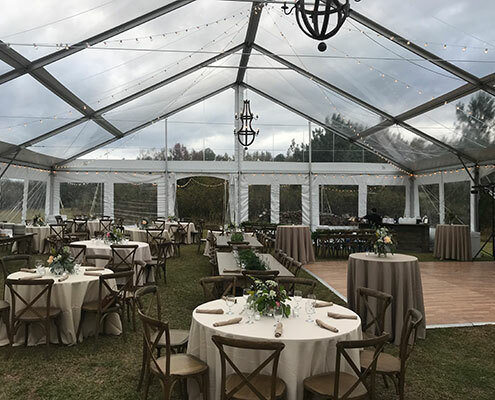 You get the structure of a defined space while also allowing the natural beauty of your event’s surroundings to be a focal point. 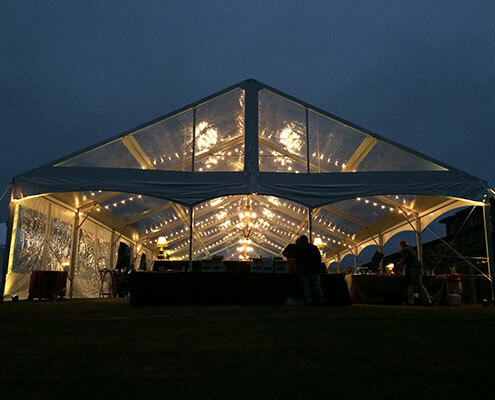 Our Clear Tent is 40’ wide with gabled ends, and the length can vary for your needs. 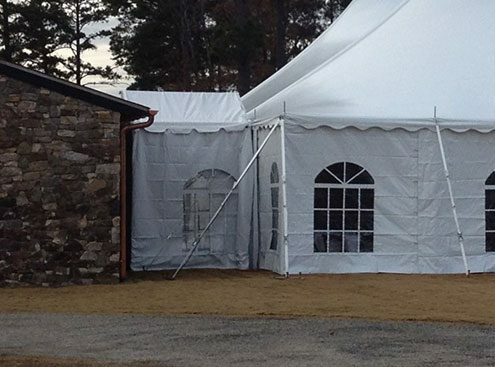 Clear side walls are available. 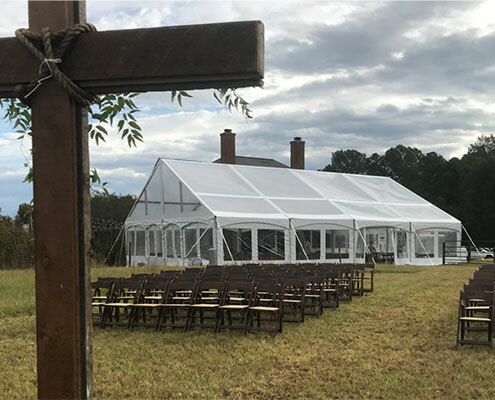 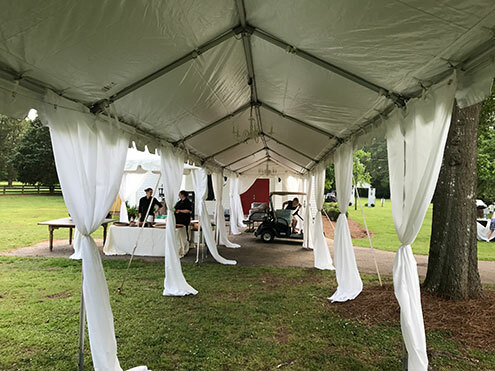 Open in the center, more choices in size, configuration and layout, and the ability to be set up on uneven ground are all advantages to the Frame Tent. 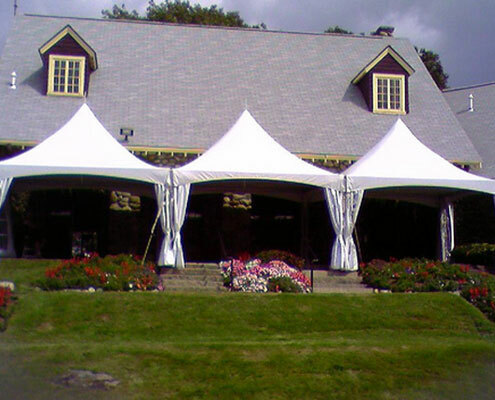 They are available in Hip-ends (angled roof) or with Gable Style ends (flat triangle end). 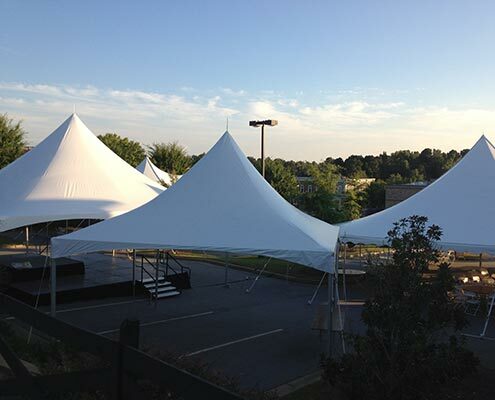 Sizes range from 10, 20, 30, 40 or 60 foot widths and can be expanded to virtually any length. 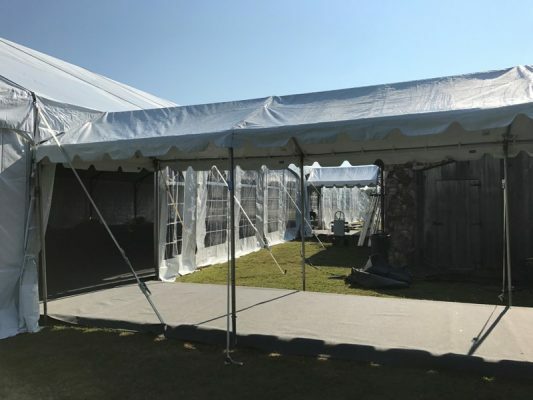 This is a narrow walkway type of tent that connects tents to each other, to any type of structure, and creates dramatic entrances. 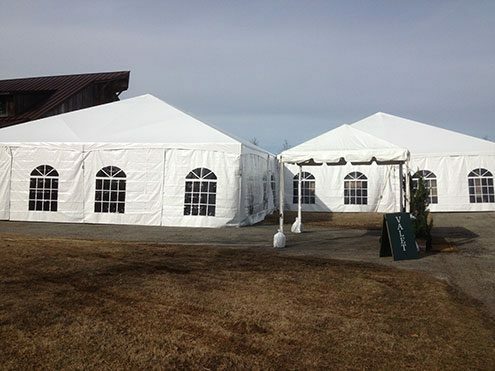 We can even curve the Marquee to fit the landscape of your event.